How a graphic designer can your business look professional? 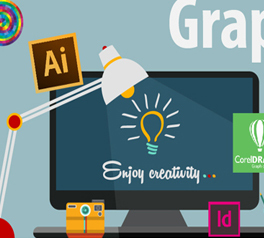 A graphic designer is a player who blends different elements like motion graphics, illustration, lettering and photography and creates a new thing which is attention seeker and help you advertise your services and to promote your products. He is the one who open a new vision and a new market to increase your business. A strong identity of a brand produces a healthy workplace atmosphere. Commitment of the employee to a single organization shows the satisfaction of employee. In such situation the role of graphic designer is seen. A graphic designer help to cultivate a positive identity of the company and brand, which reflect the company vision. It includes everything starting from the company website till the business cards. As a poorly designed website and a logo or a business card which is badly design can destroy the first impression of the company. And if your customers are not happy with you how come your employee will be? A graphic designer save your time and reduce your fatigue as you may find it difficult to manage that which format is suitable for your websites images and pictures. How to make a business card which attracts the dealer and your customer? A graphic designer better understand what to provide you and which format should be used to get the best results. Same goes with other things which are your identity. A graphic designer will organize every design and he will add the color scheme which will actually make the things more prominent and attractive. So instead of wasting your time and energy always hire a graphic designer. Limited budget does not mean to waste money by doing the graphic designer work by your own as at the end it will lead to poor results by developing a poor design and a poor design is always expensive because you have to make it again and again. So to avoid these repetitive attempts save your money by booking a graphic designer for the purpose of designing. A graphic designer provides you with high quality of visual which in return will increase your viewer interaction. A company logo, flyer, banners and other items of advertisement give strength to brand which only can be done by graphic designers as they know how to help you out. Nowadays graphic designer facilities are available online also with the same best quality and no compromise. You only have to send your requirement through emails and they in return fulfill your demand. Kaya Systems (www.Kayasystems.com) is one of the reliable sources that are providing graphic designing services. For further details please visit the website. This entry was posted on Monday, May 21st, 2018 at 1:53 pm	and is filed under Uncategorized. You can follow any responses to this entry through the RSS 2.0 feed. Both comments and pings are currently closed.